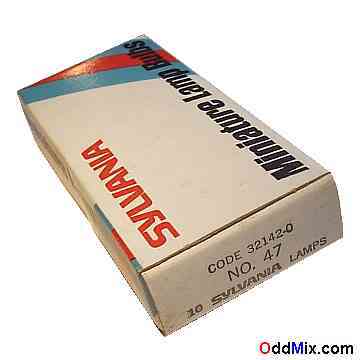 These factory fresh, unused, vintage original, Type 47, Sylvania Code 32142-0 Miniature Lamp Bulbs are difficult to come by. In addition to replacement uses in radio and television restoration and repair, these metal filament lamps are are also handy as high power, nonlinear resistors for many electronics projects and experimentation. First come first serve. Supply is very limited.